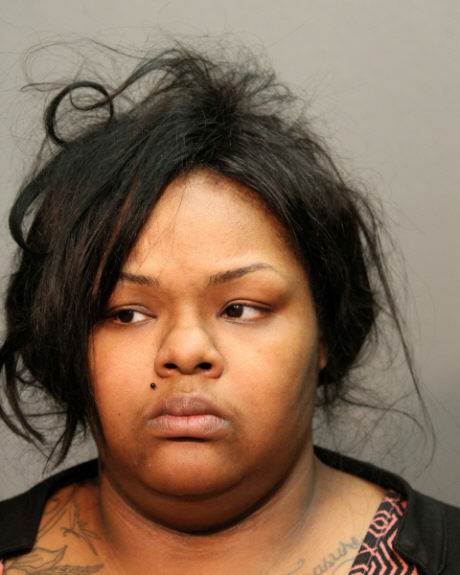 • A woman who used credit cards taken in a Wrigleyville robbery has been sentenced to two-years. Ashley White, 32, pleaded guilty to identity theft before Judge Timothy Joyce. After being given credit for time served and Illinois’ automatic 50% reduction for assumed "good behavior," White will be paroled on January 19. On February 12, a man was struck in the back of the head as he and a woman were robbed around in the 3300 block of North Seminary around 11 p.m. on February 12. Terrance Porter, 31, is charged with two counts of armed robbery with a firearm in the case. He is due back in court next month. • Two men who attacked and robbed a 64-year-old retiree in Boystown last October have reached plea deals. Vonsean Williams, 22, pleaded guilty to one count of robbing a person over the age of 60 and received a four-year sentence from Judge Lauren Edidin. After being given 50% time off and credit for time served, Williams will be paroled on September 26. 22-year-old Damien Richardson pleaded guilty to aggravated battery in a public place and received a two-year sentence from Edidin. After being given credit for time served and the state’s automatic 50% reduction in sentences, Richardson was immediately placed on parole without ever going to prison. The victim was jumped about a block from his home in the 700 block of West Melrose. He had moved back to the Boystown neighborhood last year after entering retirement, according to a source. A passer-by found the victim with blood flowing from his forehead near Broadway and Melrose minutes after the attack. • A Lakeview man who robbed a liquor store at knifepoint in August has pleaded guilty to armed robbery in exchange for an eight-year prison sentence. Jacque Thompson, 41, was sent to prison by Judge Nicolas Ford. Thompson wielded a butcher knife when he held up the Parkwest Food Mart at 2733 North Halsted this summer. A witness to the robbery called police after seeing Thompson in the neighborhood again several days later. Cops say Thompson is a member of the Black P Stones street gang. After credit for time served and the 50% sentence reduction, Thompson is scheduled to be paroled on August 20, 2021. • Two men arrested at Belmont and Sheffield for their involvement in a robbery aboard a CTA train have pleaded guilty. Edward Robinson and Thomas Smith, both 21, were arrested last November as they stood outside of Cheesie’s Pub, 958 West Belmont. Prosecutors charged them with a single robbery at the Grand Blue Line station. 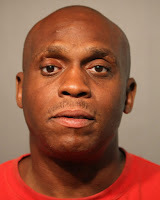 Smith was on parole at the time for committing two hold-ups in Lakeview in September 2013. Judge Timothy O’Brien sentenced Robinson to six-years and Smith to five years. After the usual discounts, Smith will be paroled on May 14, 2019. Robinson’s parole date has not been set. Police said Robinson is a documented Gangster Disciples street gang member. Sponsor CWBChicago for as little as $4.08 a month to receive members-only reports and services.